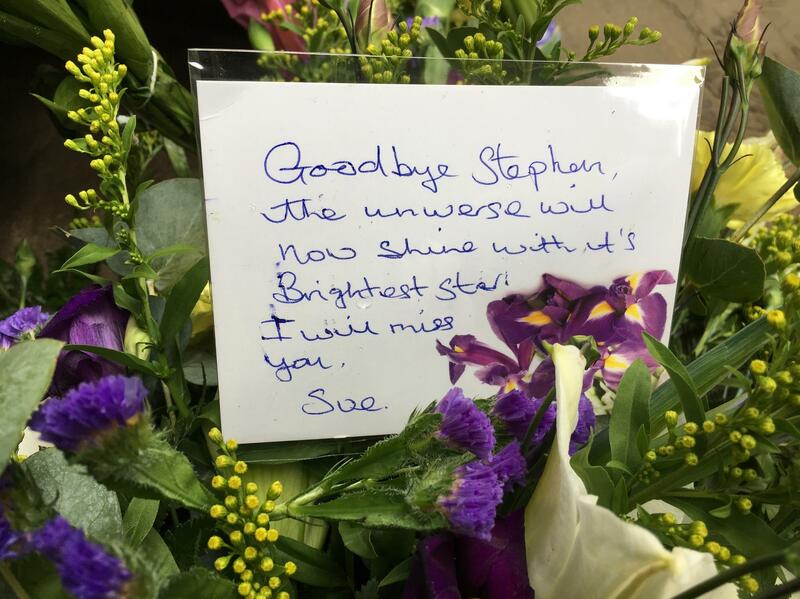 When the hearse carrying the body of Professor Stephen Hawking arrived at the university church of St. Mary the Great in Cambridge, the bell rang 76 times â to mark each year of the renowned physicist's life. His coffin was draped with white flowers â lilies for the universe, roses for the polar star. Six pallbearers carried the coffin from Gonville & Caius College, where Hawking was a fellow for more than 50 years. Hawking's family invited around 500 guests for the private, read Ecclesiastes 3.1-11.